Helps you trace the jerk who makes prank calls to you at midnight. Facebook, LinkedIn, and Twitter integration. Update phonebook with missing address information. The app works well with EDGE connectivity on most phones. However, for faster search results, a Wi-Fi or 3G connection is recommended. 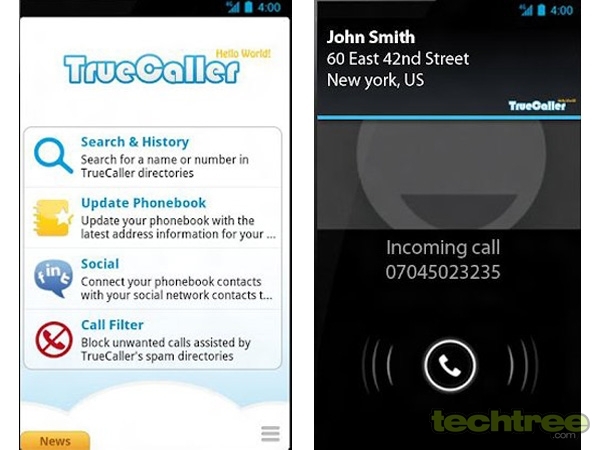 Best of all, the application is free, and can be downloaded by visiting m.truecaller.com from your phone's browser. Check out the gallery below for more screenshots. Platform: Android, Blackberry, iOS, Symbian, Windows Phone.